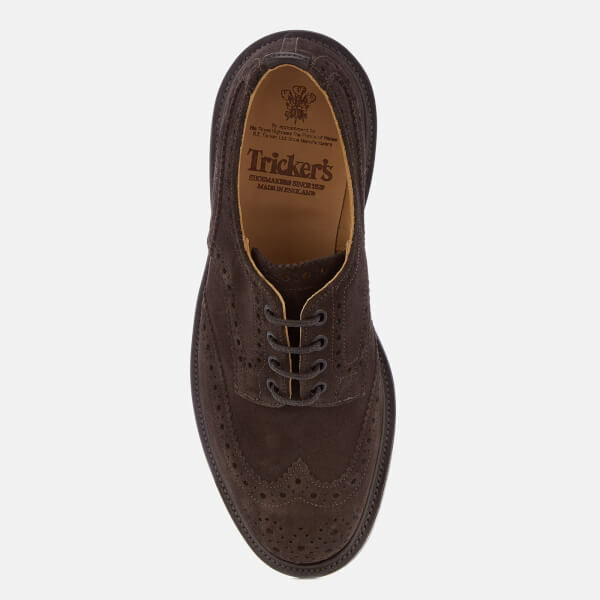 Men’s ‘Bourton’ brogues from British heritage footwear brand, Tricker’s. 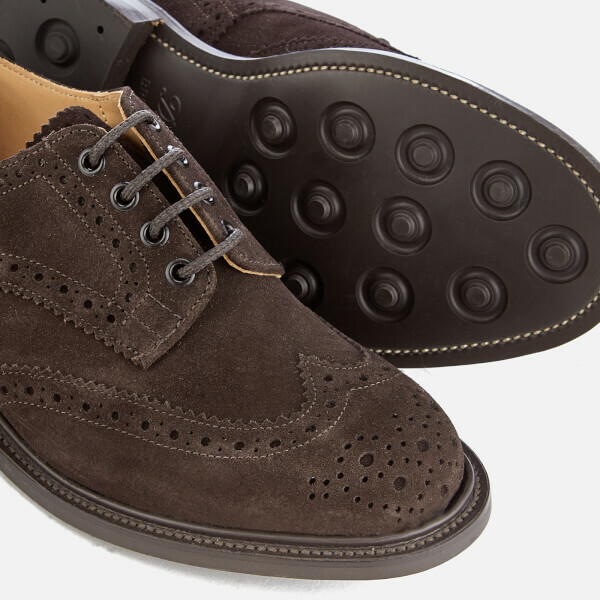 Crafted with luxurious suede uppers, the brown Oxford shoes feature signature punched detail, serrated edges and tonal stitching. 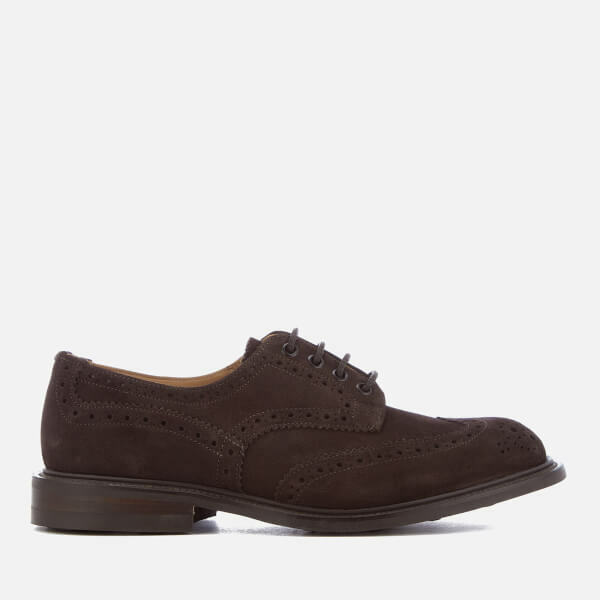 Fastening with a lace-up closure, the brogues are set upon a Dainite studded rubber sole, which ensures superior durability and support. Upper: Suede. Sole: Dainite Rubber.